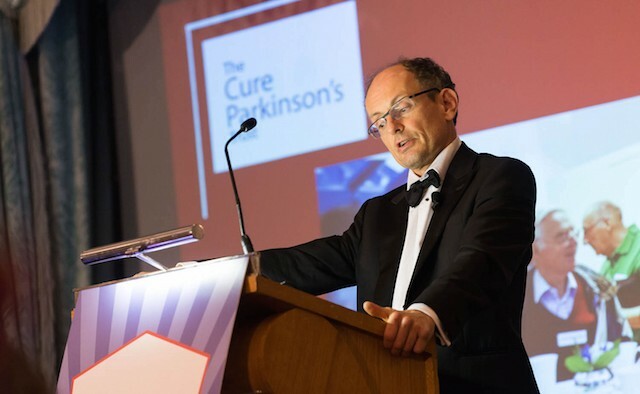 Tom Isaacs, co-founder and president of The Cure Parkinson’s Trust, passed away unexpectedly on 31 May at the age of 49. He was diagnosed with Parkinson’s disease at the age of 27 in 1996 and co-founded The Cure Parkinson’s Trust in 2005. He will be sorely missed by not just the Parkinson’s community in the UK where his organisation is based, but also in wider Europe and the rest of the world. Lizzie Graham, executive director of the European Parkinson’s Disease Association (EPDA), said: “It is utterly tragic that Tom has been taken so many years before his time. He has done so much for so many in the world of Parkinson’s and he will be very much missed. In 2005, Tom became an EPDA Board member. Lizzie added: “He fulfilled his role at the EPDA with energy, passion and an incredible sense of humour. Since then, the EPDA has continued to work with him and the Cure Parkinson’s Trust, and supported all that he/they have done – and we will continue to do so with all our hearts. “My heartfelt condolences go to his devoted wife Lyndsey, his family and his huge band of loyal friends. What Tom has done and achieved will never be forgotten,” Lizzie said. We are all devastated, but are focusing on his incredible achievements. Tom’s spirit was and is inspirational. His vision and drive in creating CPT has been simply extraordinary. His determination to help find a cure for everyone living with Parkinson’s has led to the charity supporting ground-breaking science with huge potential. It remains the mission of this incredible charity to fulfil his vision: we are more determined than ever. The Cure Parkinson’s Trust will announce the details of Tom’s memorial service in due course. I am so shocked and saddened by this news. Only recently Tom was featured in one of David Sangsters youtube vlogs which I follow (as well as Emma’s), when we saw Tom give a most amusing speech. He has long been an inspiration, and will continue to be. I am so devastated by the news. Tom was my friend and inspiration. He inspired me to start my own foundation when I realized that private funding was a quicker avenue to continue with groundbreaking research than to have to stop and wait for two years for an NIH grant . Tom was always there for me as a mentor and a friend . I started the Ann Hanley Parkinson’s Research Fund to further advance a study which employs a strategy to restore or improve dopamine cell dysfunction in Parkinson’s. Tom and I shared our news and views on this study and though I live in the USA and only meet with him infrequently, we maintained a constant contact. I feel such an overwhelming sense of loss for this man. He was a giant among men, a visionary, a dreamer, a man who never gave up, who never quit. He made me laugh and was ever the optimist. I thank God for the privilege of knowing Tom and though saddened by his early demise, he will forever be with me in my thoughts and prayers as I continue to dedicate my life to our common cause . My condolences to Lindsey and to Tom’s family, friends and fans. Tonight, look to the heavens for the brightest star and say a little prayer to Tom. Only just found out (traveling) that this amazing man has died so suddenly…my heart goes out to his family and friends and the Cure Parkinson’s Trust that did such fine work for the cause. Tom’s humour under adversity is what I’ll always remember him for. RIP good man!